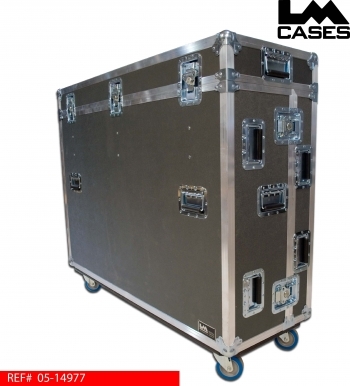 This case was built for Campus Crusade For Christ. The case features a 2 piece removable lid to allow access to the console's front headphone jack. 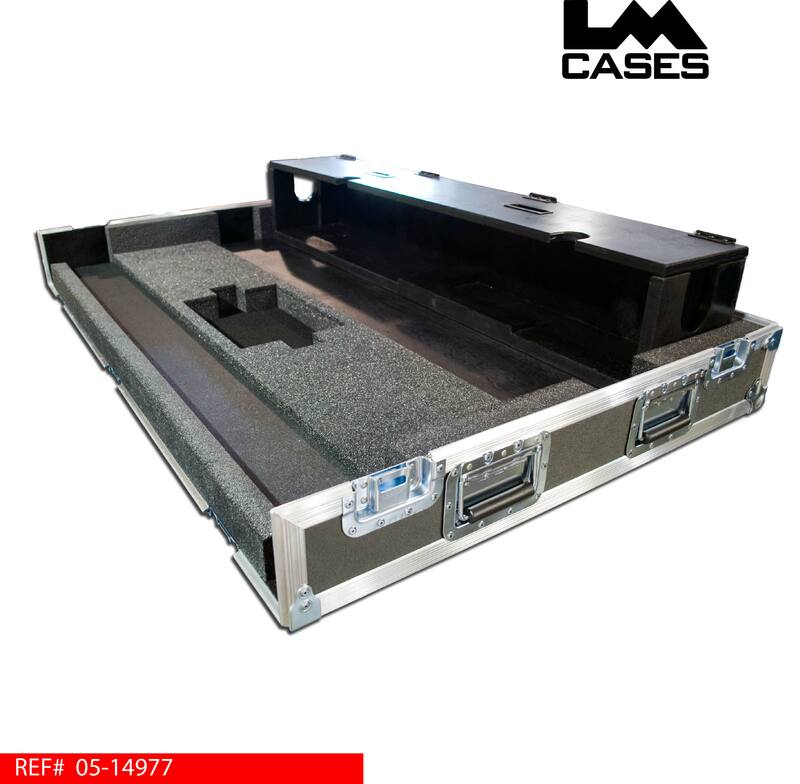 The interior of the case features custom angled foam blocks to support the console from the side, this allows the angled screen to be untouched by the case. Because the top lid of the case only touches the console on the sides, damage from removing the lid is minimized. 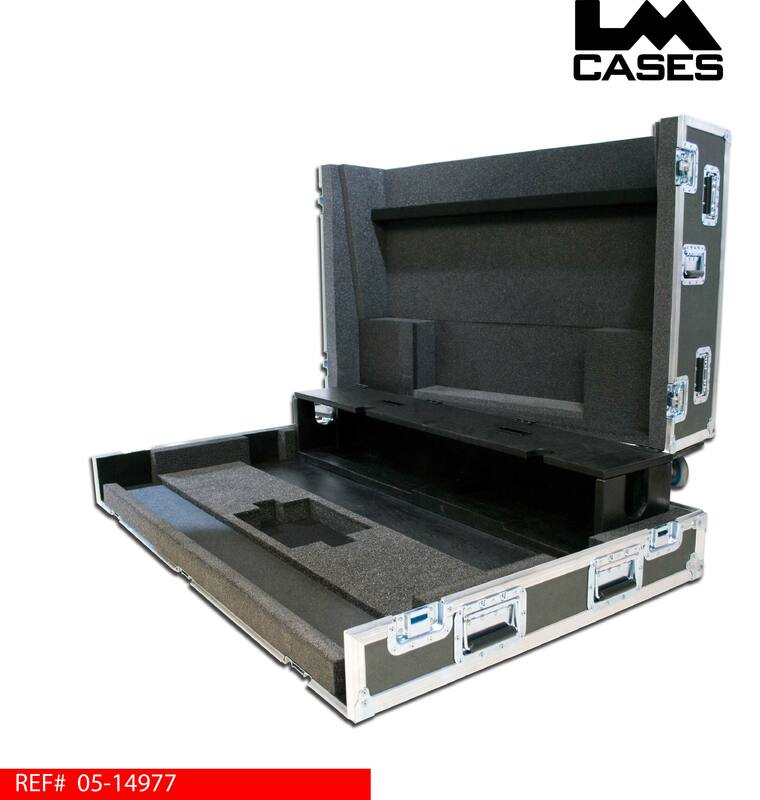 The interior of the case also features a custom 3/4" Baltic Birch doghouse as well as storage for the owners manual under the console. 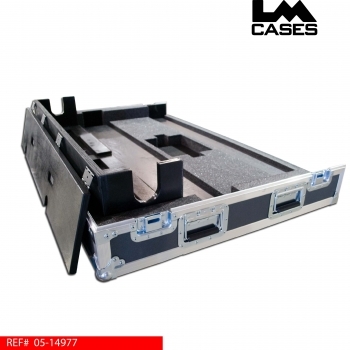 The exterior of the case is built from 3/8" plywood laminated with charcoal ABS laminate, 4" Colson casters, and 20 handles. Special thanks to Campus Crusade For Christ!